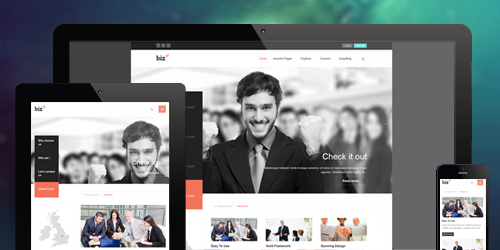 The Responsive Joomla template for Business - JA Biz supports both Joomla 3 and Joomla 2.5 and will transform your ordinary looking Joomla site into professional business site. 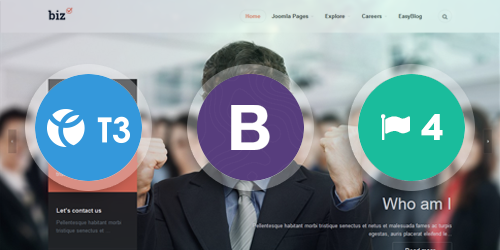 JA Biz is built on the robust T3 Framework with Bootstrap 3 at core, supports RTL language layout at default and support for the powerful EasyBlog component, and the cool Joomla extension for map & location - JA Image Hotspot module. 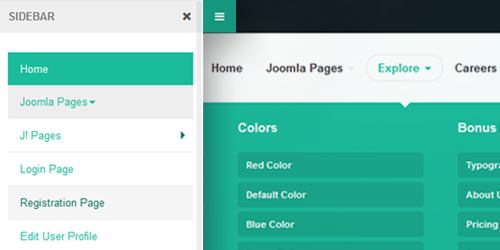 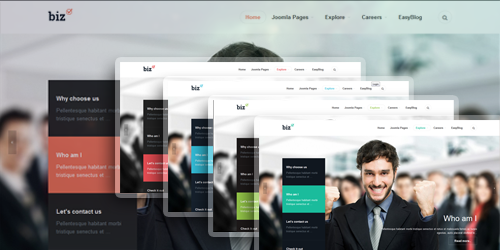 JA Biz Joomla template comes with multiple layouts, 5 colors presets and various typography pages. 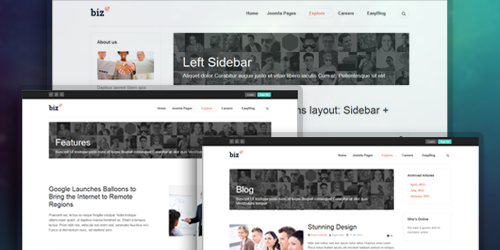 Altogether makes JA Biz a refreshing functional template design that anyone can quickly pickup and get started in minutes, set up and push it live. 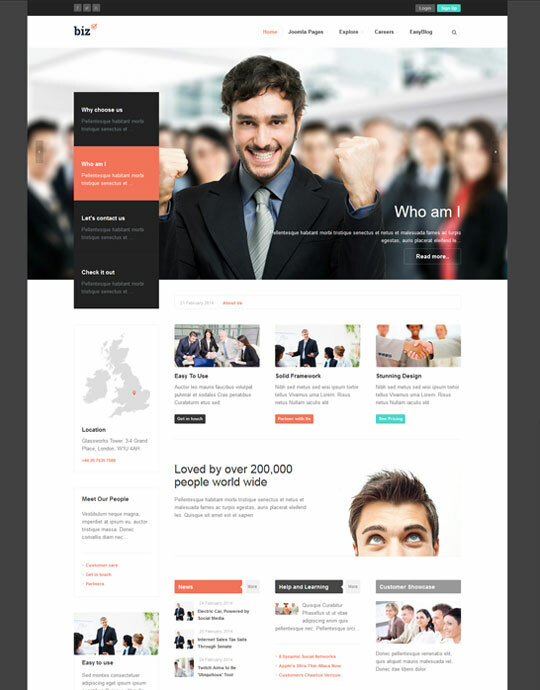 If you have been looking for for a business template that you can count on, JA Biz will not disappoint you. 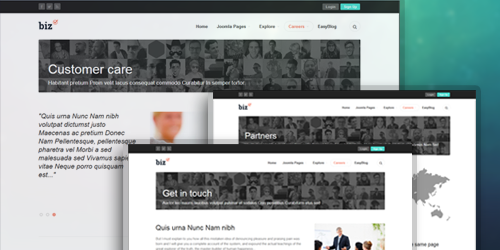 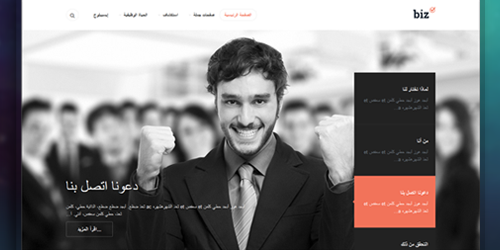 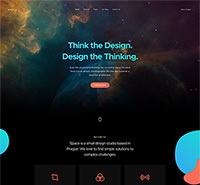 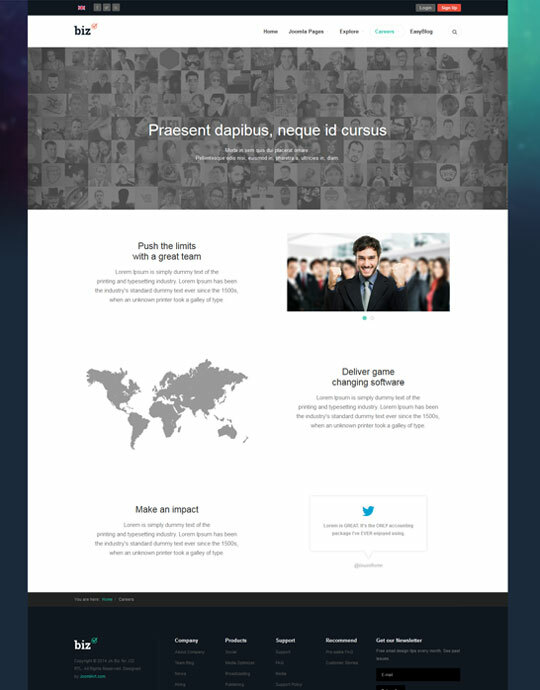 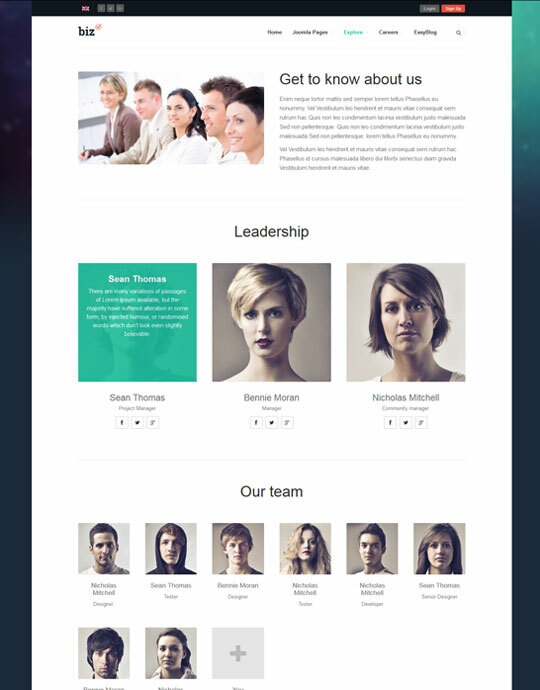 This template supports RTL CSS Style. 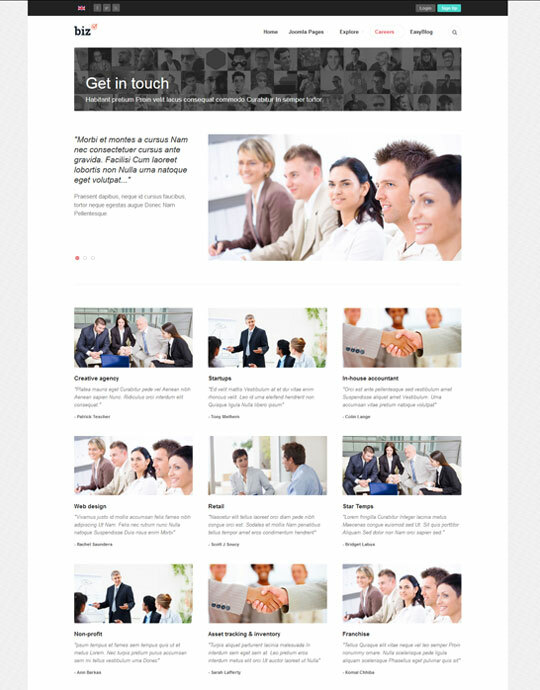 It’s of utmost importance that you keep constant communication with your visitors through blogging. 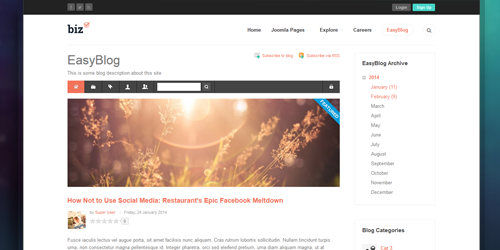 JA Biz will help secure audience's interest through the powerful blogging component - EasyBlog.